As a parent, you’d only want to make the best choices for your child. And, choosing the best school for your child is definitely a choice you’d want to get right. However, young parents can feel a bit clueless or challenged when it comes to deciding which school would be the best for their kids. After all, this one decision can determine their career and future in the long run. Often, they run into questions like — What are the most important parameters to select a school? Which curriculum to choose? What would be their financial commitment like? If you are looking to choose the best school for your child and have a string of questions running in your head, here are some tips to keep in mind. There are certain must-have features that a school you choose for your child should have. These include whether the school maintains adequate safety and security of your child; the standard of health and hygiene within the premises; and has enough space for games and sports. Besides these basic facilities, it is also necessary to make sure that the school adopts child-friendly practices. If there’s someone you know who studies or teaches in a particular school, you could ask them about the classroom environment, teacher-student interactions, values, principles, and philosophies that the school follows, etc. You’re more likely to make a well-informed decision based on these honest opinions. A school may have all the modern facilities for its students but without the most critical factor — the right teachers — it is not going to be very useful for your child. Besides academic qualifications, a teacher needs to subscribe to child-friendly perspectives and work towards ensuring the child’s emotional and psychological well-being. If possible, talk to the prospective teachers prior to admission and find out their attitudes towards children. Ideally, the school should not be very far from home. This is mainly to save time and cost involved in traveling to a distant location. Plus, it also ensures that your child doesn’t get too tired after long hours of commute. However, while seeking school close to home, one must not forget to ensure that the school has classes till standard 12. Often, small neighbourhood schools have kindergarten and elementary classes but not up to +2. This can present a bigger challenge in future as getting your child admitted to senior classes is even more difficult. This is why it’s important for homebuyers with kids to look for a home that has at least one good school in its vicinity. Practically, it may not be always possible to live within easy walking or cycling distance from the school. This is where the school’s transport facility comes into the play. When considering the transport facility offered by a school, it’s important to check for factors such as safety standards, on-time performance, and tech support such as tracking and monitoring of buses. These days, there is a wide range of options when it comes to choosing a curriculum for your child. However, your choice should be based on some key factors. The most important factor is what type of job you have. Is it transferable? Do you have prospects of being posted overseas? Having a transferable job means your child has to change schools frequently. In such cases, an ICSE or CBSE school has obvious benefits over schools of the State Board. If your job involves moving between metros and big cities, then you can opt for either ICSE or a CBSE school. But if there are chances that you may be transferred to small towns or tier-II cities, a CBSE school makes more sense because it’s still difficult to find good ICSE schools in those parts of the country. But that’s not all; there’s a third option as well. 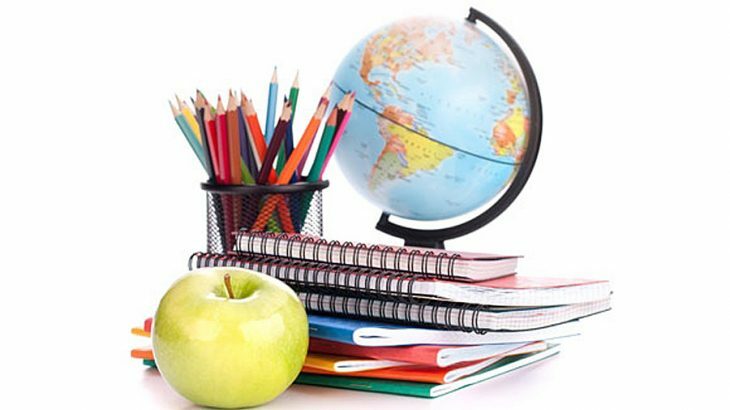 If your job takes you to a different country, a school under a global curriculum like IGSCE (International General Certificate of Secondary Education) will ensure a smoother transition for your kid with minimum hassles. Rote learning, that has been (and is still) practiced in Indian schools has often been criticized as the main reason for poor standards of learning in the country. Without the focus on in-depth understanding of the subject and proper analysis, such ‘primitive’ teaching methods curb creativity and imagination. However, the good news is, many schools in India are breaking theses moulds are creating better opportunities for learning in the classroom. Most of these schools have a healthy student-teacher ratio and invest in empowering their teachers and improving the learning ambiance in the classrooms. Besides traditional classroom learning, many schools these days are adopting various means of digital learning mediums such as smart boards, speakers, projectors, remote and so on. Using this technology-based equipment not only makes the learning more engaging for students but also makes it easier for teachers to plan their classes and assess students. Considering how technology is increasingly becoming an important factor in education, a school that adopts these tech advances and best practices into their teaching process can be instrumental in your child’s learning and skill development in unique ways. Many schools these days demand the involvement of the child in a lot of different co-curricular activities. While this is a great thing for the overall development of the child, what parents really need to ask is how these co-curricular activities will shape up their child and whether it’s truly necessary to get them involved in all such activities. On the flip side, too many co-curricular activities may leave no room for your kids to enjoy any free time. Before zeroing in on a school for your child, visit as many schools as you can. A school visit is a great way to judge a school’s capabilities to cater to the overall development of your child, be it academic or co-curricular. Simply by walking in and looking around you can know a lot about a school. Does the school appear clean and well maintained? Are teachers and staff friendly and helpful? Is there adequate security? These observations will allow you gauge the critical aspects of the school and its faculty. Also, try talking to the principal, teachers, and people in charge. Ask questions to know more about each school and whether it matches your needs and values. Also, talk to existing students and their parents. They can provide valuable information about the school, its policies, fees, and other expenses. With these tips under your sleeve, you will be better equipped to identify the best school for your child and promise them an education — the benefits of which they will reap for the rest of their life. Tnrea School In Kompally Hyderabad.It is good school if you are located in this are you can try this school it has good infrastructure. You really should try and get to know the faculty when you’re choosing a school for your child. After all, they will be the ones that are responsible for teaching your kids and making sure that they receive a well-rounded school experience. Because of this, you’ll want to talk to them and determine whether or not they have the skill and experience to take care of your child. A School is an institution or organization that provides knowledge and instruction to the children.Brain of a child is like a blank paper whatever you will write, he will start believing it. It is the first step towards to child’s development.Superior environment, well educated staff knowing new technology, up to date by new and trending technology, practical knowledge,proper maintain science and computers labs, Play ground for student’s development and growth. Thanks for sharing this excellent blog. Keep blogging!!! Once again an excellent blog from you nkrealtors! Thanks for that. In this, you have explained us about how to find the best school among from the bunch of buildings. your blog will definitely help the parents who are seeking for the best one in nearby areas for their children.Keep blogging! I really appreciate your tip to make sure that your child’s teacher will have your child’s well-being at heart when they are teaching. My wife and I have been thinking of getting our son a new school since he isn’t being fully challenged at his current school. I will be sure to tell my wife that we should try and find him a school teacher that will also care about his well being! To choose the best school for your children there are many ways to choose it first of all you can chose by getting the reviews online from different students and the second and most important way to choose the best school is by knowing which faculty is going to teach your children and how many years of experience they hold and their qualification as well. How Can We Make Kolkata Safer For Women?